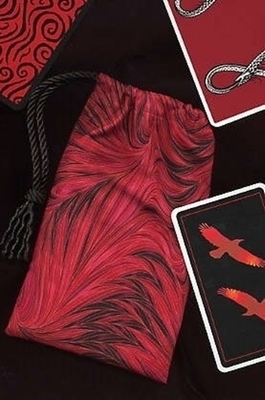 Red represents passion, expansion, and pure radiant energy, and is most commonly associated with the suit of Wands. A powerful cleansing and protective force, this red and black feathery, fiery pattern is perfect for keeping your tarot cards or other treasures safe and purified. 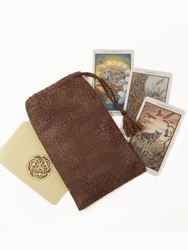 Size: Measures approximately 4-1/2" to 5" wide by 7-1/2" to 7-3/4" tall (12.7 x 19.7 cm). 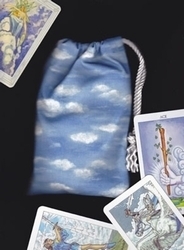 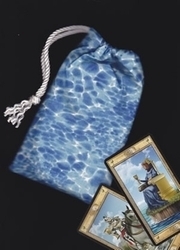 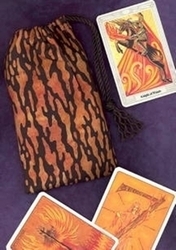 Fits most standard tarot card decks (3" x 5" and smaller).